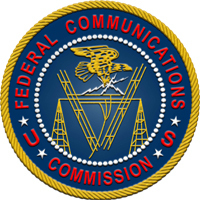 In reply comments filed July 24 with the FCC, the ARRL reiterated its argument that any decision to authorize unlicensed National Information Infrastructure (U-NII) devices at 5 GHz "should await a full and complete evaluation of interference potential and interference mitigation techniques among the varied and incumbent users." The Amateur Service has a secondary allocation at 5650-5925 MHz in the US. Earlier this year the FCC released a Notice of Proposed Rule Making (NPRM) in ET Docket 13-49, seeking comments on making available an additional 195 megahertz of spectrum in the 5.35-5.47 GHz and 5.85-5.925 GHz bands for U-NII use. Reply comments are responses to comments already filed in the proceeding. "The comments of the National Telecommunications & Information Administration (NTIA) indicate that NTIA shares the same concern that ARRL has raised repeatedly in earlier proceedings concerning the 5 GHz band: that the aggregate interference potential of ubiquitous U-NII devices to incumbent radio services...is currently unknown," the League told the FCC. U-NII devices use "wideband digital modulation techniques to provide a wide array of high data rate mobile and fixed communications for individuals, businesses, and institutions," the FCC explained in its NPRM. Read more. Tom Wheeler, President Barack Obama's nominee for chairman of the Federal Communications Commission, this week received the approval of the Senate Commerce Committee. Reuters reported that some Republicans on the committee wanted to hold up the nomination of a new Democrat to head the FCC until the President also named a Republican to fill the remaining vacancy on the five-member commission. Wheeler got the okay by voice vote July 30. According to news reports, hams in Hawaii and California played a role July 23 in efforts to rescue the two-person crew of a sailboat stranded on a reef more than 3500 miles away in Micronesia. The vessel C'est la Vie, a 53-foot sailboat reported running aground on a reef in western Chuuk Lagoon. When the situation developed, Big Island Amateur Radio Club member Richard Darling, AH7G, was in contact with John Bush, KH6DLK/V63JB, and friends in the Federated States of Micronesia. 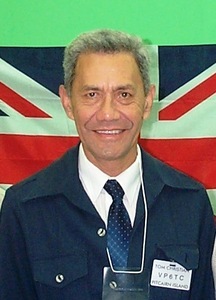 Bush won the 2012 ARRL International Humanitarian Award for promoting the development and welfare of the population of the Island of Federai in the Ulithi Atoll, FSM, in part through establishing communication infrastructure and promoting ham radio. On July 23 he was in Northern California testing a new antenna to help him keep in better touch with his contacts within the FSM. During the contact, Darling and his wife Barbara, NH7FY, heard the distress call, in which the crew reported the vessel was taking on water. The Darlings were able to hear the signal well and pass along important information about the sailboat's location and the severity of the crew's situation, which the Darlings relayed to the Coast Guard. The crew had told the Coast Guard they thought they could walk ashore on the reef and had a life raft and safety gear. Read more. In the wake of what authorities in California believe is a case of vandalism that led to the collapse of a 200 foot radio tower on the West Coast, the Mount Diablo Amateur Radio Club plans to relocate its gear from the Rocky Ridge tower site to another tower nearby. Jim Siemons, AF6PU, says his club's repeater committee decided this week to remove MDARC's heavily used 144.390 MHz packet/APRS digipeater from the equipment vault on Rocky Ridge as soon as the club can get physical access. "The plan is to, at least temporarily, relocate the digipeater to the North Peak of Mount Diablo, where we are now building an ATV repeater system," Siemons told ARRL, adding that the move could happen as soon as Saturday. "The North Peak of Mount Diablo should offer packet and APRS coverage to the majority of Northern California," he added. Despite the tower collapse, the club's radio systems continued to work. "Even though the prostrated tower with our antenna lay flat on the ground, our packet system faithfully continued to operate for a couple of days subsequent to the collapse," Siemons noted. He said American Tower Corporation has indicated that it plans to restore some of the most critical public safety radio services within a week. Late on July 28 or early on July 29, authorities say, vandals apparently cut several guy wires supporting the Rocky Ridge radio tower, located in the hills of the Las Trampas Regional Wilderness above San Ramon and Danville, causing the 200 foot structure to crash to the ground. Siemons says the Rocky Ridge Tower "has been a key communications tower for amateur, commercial, and public safety radio operators, alike." boost "wireless technology literacy" among US students and educators by providing cost-free instructional resources, Teachers Institutes on Wireless Technology and grants for school Amateur Radio stations and equipment -- all made possible through the sustaining support of donors in the Amateur Radio community. With the addition this month of three new ETP station grants and one progress grant to schools, the program now boasts 535 schools. Receiving ETP school station grants are Westside Elementary School, in Roanoke, Virginia -- a current ETP school with a Teachers Institute graduate on staff; Midland High School in Midland, Michigan, and Norwood School in Hulbert, Oklahoma. Each school must formally accept the grant. The total package of the station grants was approximately $3600. Schools will receive basic equipment and an antenna system to establish an Amateur Radio station at their facilities. Schools are encouraged to partner with a local Amateur Radio club. Receiving an ETP progress grant is Liberal Arts and Science Academy (on the campus of Lyndon B. Johnson Early College High School) in Austin, Texas. A fixture in the ETP, the school is a frequent top scorer in the ARRL School Club Roundup. The school requested an AZ/EL rotator and controller. Its grant is estimated at $800. The ARRL Board of Directors accepted the recommendation of the Executive Committee and approved the four grants at its July meeting. The EC reviews ETP grant applications twice a year, in June and December. The ARRL is now taking orders for personalized and serial-numbered hardcover editions of the 2014 ARRL Centennial Edition of The ARRL Handbook for Radio Communications. Advance orders will be filled starting in early October. For 100 years, ARRL has been at the forefront of promoting technical advancement and improvements in radio operating practices, and since 1926 the Handbook has defined the latest innovations in the field of applied electronics and communications. Written by radio amateurs for radio amateurs, experimenters, engineers and students, The ARRL Handbook for Radio Communications is a must-have resource. This commemorative edition has been extensively updated and revised, and includes new projects such as a simple linear amplifier for the beginner, and analog and digital QSK modules. There's new information too, including an annual transceiver model review and MOSFET design for power amplifiers. Accompanying the Handbook is a CD-ROM that includes all of the fully searchable text and illustrations in the printed copy plus expanded supplemental content, software, PC board templates and other support files. The ARRL Centennial Edition features a gold foil/embossed hard cover, personalized with your name and call sign and a serial number. 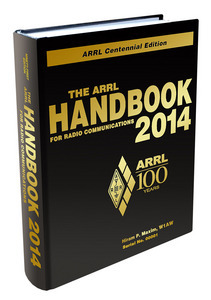 Celebrate 100 years of ARRL with a new Handbook! AMSAT wants the federal government to confirm that the Amateur Satellite Service will not be subject to International Traffic in Arms Regulations (ITAR), as a result of export control reforms now underway. In May the US Department of State Directorate of Defense Trade Controls (DDTC) proposed changes to the US Munitions List (USML) Category XV (Spacecraft Systems and Related Articles). The changes redefine satellites that would remain under the USML. Satellites removed from USML would be transferred to the Department of Commerce Commerce Control List (CCL). 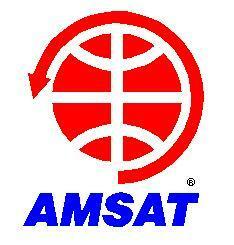 "We ask that the Directorate of Defense Trade Controls explicitly confirm that satellites, ground equipment, and associated technical data for items pertaining to the Amateur Satellite Service are not subject to the ITAR when the new Category XV provisions are implemented," AMSAT said in comments filed earlier this month "Over the past 43+ years AMSAT has been integral to the development of Amateur Radio communications spacecraft based upon the model of an all-volunteer organization that follows 'open source' practices and creates spacecraft that are very low cost, which also reflects relatively low levels of sophistication compared to commercial satellites," AMSAT said. T6JM -- Afghanistan, 2012 operation. The ARRL Contest Branch has posted a list of all logs received from participants in the 2013 ARRL Field Day. This list include logs sent via the web applet, e-mail and hard copy summaries. Logs designated "Checklog" are listed as such because the entry did not include the required summary sheet or was missing information necessary to include it as a regular entry. If your entry is shown as a checklog, contact ARRL Contest Branch Manager Mike DeChristopher, N1TA (860-594-0232) to have your entry reclassified properly. If you find incorrect information in your listing, contact Mike to have the corrections made. Because of an e-mail issue at ARRL Headquarters in early July, some e-mail submissions may not have been received. If your entry is missing from the list, contact the Contest Branch to resolve this issue. Due to QST space limitations, club names are only given for Class A entries. The winner of the July QST Cover plaque award is Lynn Jelinski, AG4IU, for her article "A Broadband Ham Network Crosses the Finish Line." The QST Cover Plaque Award -- given to the author or authors of the most popular article in each issue -- is determined by a vote of ARRL members on the QST Cover Plaque Poll web page. Cast a ballot for your favorite article in the August issue today! Monitoring Times magazine will cease publication at year's end after 33 years. "We will publish through the December 2013 issue," publisher Bob Grove, W8JHD, told ARRL. "The decision wasn't an easy one, but economics played a greater part than personal. Judy and I are in excellent health, but the gradual drift downward of subscribers and advertisers made the decision clear." Grove said that if a subscription runs beyond the end of the year, subscribers should e-mail or call the office at 800-438-8155 to arrange a refund. Monitoring Times, which promotes itself as "The World of Radio All in One Place," covers -- among other topics -- shortwave and broadcast listening, scanning, military, maritime, and aviation monitoring, equipment reviews, clandestine stations, and public safety monitoring. Commented Dan, VR2HF, after the news item appeared on QRZ.com, "Sad to see them go. They were best in their class!" Read more. Tom Christian, VP6TC/VR6TC, in 2000. Tom Christian, VP6RC/VR6TC, a long-time radio amateur who became known as "the Voice of Pitcairn," died July 7 on the tiny South Pacific Island that was his lifelong home. He was 78 and a descendent of Fletcher Christian of "Mutiny on the Bounty" fame. In 2009 he was diagnosed with possible Alzheimer's disease. According to his wife Betty, VP6YL/VR6YL, his health "deteriorated all too quickly," and the last few months were, in her words, "cruel ones to watch such a strong, vibrant man reduced to where he was not really aware of his surroundings." Former ARRL Nevada Section Manager and Emergency Coordinator Janet Welsh, NK7N, died July 22 in Dallas, Texas. She was 77. Janet and her late husband Lee, KI7EY, lived for some time in Henderson, Nevada, and were involved in virtually every aspect of Amateur Radio in Southern Nevada. Janet and Lee taught licensing classes, and Janet served as coordinator of the local VE team. The couple belonged to virtually every ham radio organization in Southern Nevada. Jan volunteered for public service events, was active in the Red Cross and with ARES/RACES, serving as an ARRL Emergency Coordinator for 10 years, participating in the ARES responses to the PepCon Chemical Plant explosion in Henderson and to the Moapa Valley floods. If prompted to upgrade AdobeÂ® AIRâ¢ to version 3.8, click "No." If already upgraded and experiencing issues with AdobeÂ® AIRâ¢, uninstall and reinstall an older version. Select AdobeÂ® AIRâ¢ to remove the runtime. Solar Sage Tad Cook, K7RA, reports from Seattle, Washington: The weekly averages of daily sunspot numbers and solar flux barely changed at all compared to the previous week. Average daily sunspot numbers went from 73.4 to 79.6, while average daily solar flux decreased from 110.6 to 109.7. The weak peak of this solar cycle continues. We are moving toward fall, which is always seasonally better than summer for HF propagation. Let's hope for a rise in solar activity to complement the seasonal change. 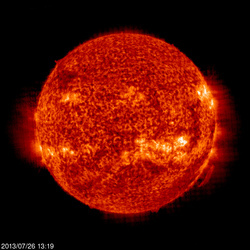 The latest prediction from NOAA/USAF for the near term has solar flux at 105 on August 1-4, 110 on August 5-8, 105 on August 9-12, 100 on August 13, 105 on August 14-18, 100 on August 19-24, and 125 on August 25. Flux values will hit a minimum of around 100 on September 3-4, and rise to a peak of 135 on September 11-12. Expected planetary A index is 5, 8 and 12 on August 1-3; 8 on August 4-5; 5 on August 6-8; 8 on August 9-10; 5 on August 11-20; 10, 15 and 10 on August 21-23; 5 on August 24-26; 10 on August 27, and 15 on August 28-31. In Friday's bulletin we will take another look at our three month moving average of daily sunspot numbers, and a report of unexpected late night propagation on 17 meters.